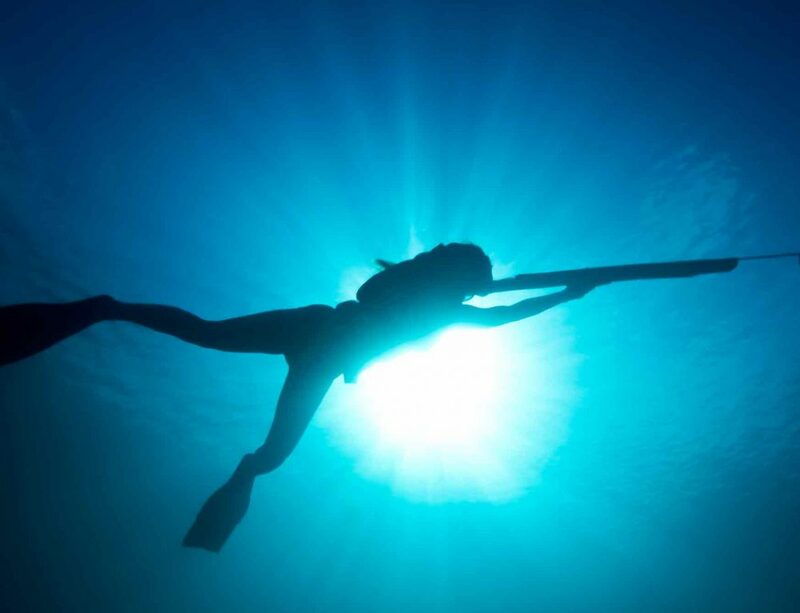 Freediving is the latest in diving sports that offers an entirely new experience for those who love to get up close and personal with the water. 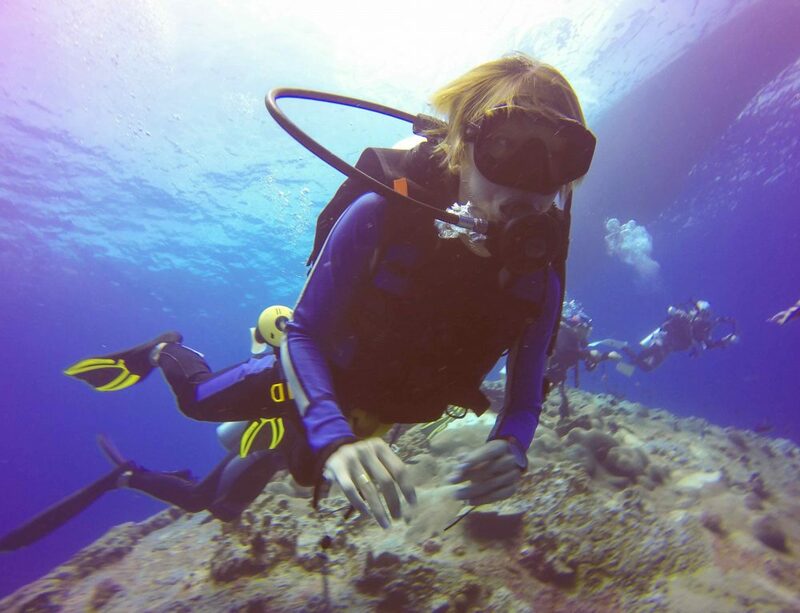 Rather than donning scuba diving gear, freediving allows humans to swim freely in the depths, using less equipment. In fact, the only thing you really must have is a pair of freediving fins. 1 What Are Freediving Fins? Freediving fins are long fins that help propel swimmers deeper in the ocean without expending so much energy. This is essential for a sport that doesn’t always utilize oxygen tanks; swimmers need to conserve energy to both stay down longer, and to ensure they can return to the surface. 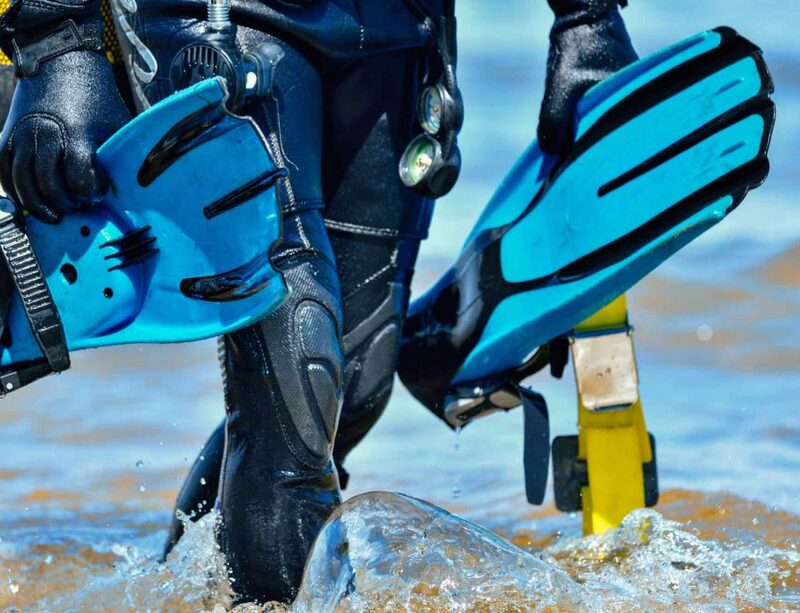 But because your freediving fins are the single most important piece of equipment you’ll use with freediving, it’s important to choose them carefully. We’ve gathered nine of the best freediving fins on the market right now, and reviewed each so that you can get a great understanding of which might be best for you. Below, you can compare our top picks on a quick chart, and then see the reviews for each pair. We’ve done the hours of searching through features for you, to make it even easier for you to get started in this exciting sport. Since the 1940s, Cressi has been crafting high-quality diving gear that works for beginners through advanced divers. The PLUMA is a great option for intermediate divers who are looking to improve their comfort over longer dives. 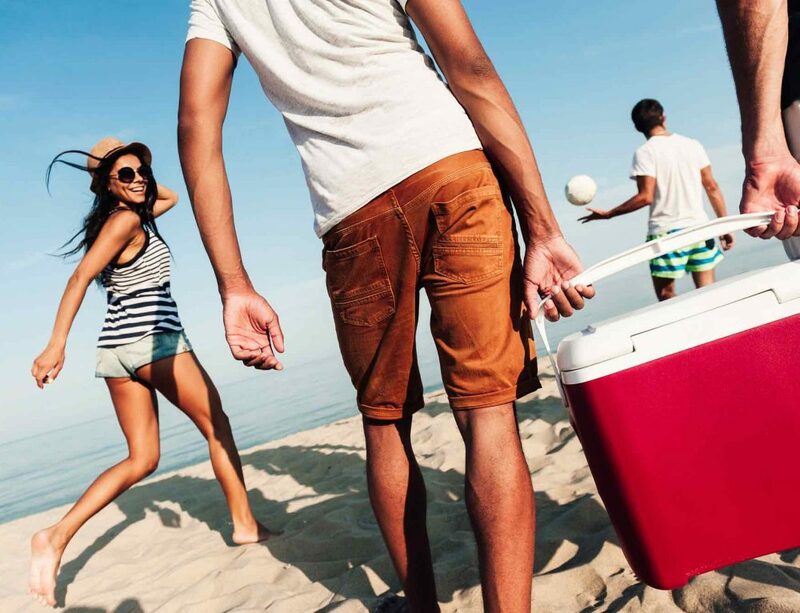 The main feature is that it is designed to cut back on muscle strain for snorkeling, scuba diving, and free diving, thanks to lightweight materials and a unique molding process that allows you to have flexibility where you need it, and more firmness where you need it. The Rob Allen SCORPIA is the beginner’s answer to getting the most durable freediving fin possible. If you frequently dive in areas where there are a lot of rocks, coral, or other debris that cut up your gear, these are a great choice. They are engineered to prevent the over-use of energy, but have a softer blade than most freediving fins for more maneuverability. As a bonus, the Rob Allen’s come in a larger selection of sizes than most beginner fins, so it’s much easier to find the best fit. The Mares Razor Pro is one of the most maneuverable fins we reviewed, with two different mechanisms at work that create easier movement. The first is having minimal rails that allow you to power through the water with much higher acceleration, and the second is having carbon weave material at the flex points of the fin, which allows for easier kicking and snapping. Like other Mares products, this one has an interchangeable blade, so as you move up in skill level, you can swap out the blade for something softer or firmer depending on your preferences. If you want an entry-level fin that doesn’t lose anything in comparison to more advanced-level fins, the Mako Freedive Hunter is probably the fin for you. Made with all the same features and materials as high-end freediving fins, but with less customizable sizing options, these are perfect for beginners who already know that they are interested in going the distance in freediving. They offer stiff blades for major thrust, soft foot pockets with stiff areas that allow you better transfer of energy, and are highly durable for long use. If you find yourself between the three sizes available, it’s best to size up and use neoprene socks to make up the difference. 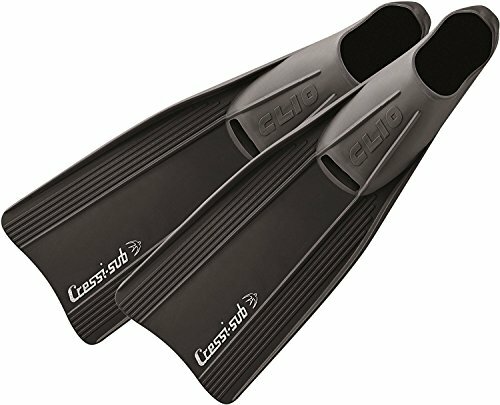 Cressi is known for making fins that are a bit softer, that aren’t quite as powerful as other brands, but offer a lot more comfort in the foot. They could be classified as medium-stiffness level, but the foot pockets are the real champs here. Designed to offer you a very comfortable fit and plenty of support, these are great for beginners who aren’t quite used to the feel of fins yet. 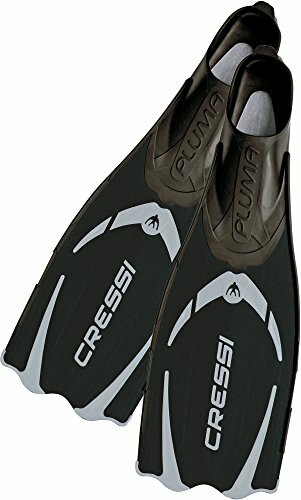 Cressi fins are also used in scuba diving, but freedivers will find that these will allow for fun, if a bit more casual, dives. The CLIO is a closed-heel freediving fin primarily made for beginners, but it offers a great introduction to the sport that will carry you over into your intermediate skill range as well. They are a bit more fluid than many other beginner fins, which may not be quite as powerful, but are easier for untrained legs to kick. This makes them ideal for kids as well, and the pull-tab on the heel to help get them on and off is a nice bonus. These work great for regular swimming and snorkeling, as well. The SEAC Motus fin is primarily for spearfishing, and its camo pattern makes it pretty clear that it is aimed at the hunting freediver. However, the fact that it has interchangeable blades would make this a great pair for the diver who likes to participate in multiple sorts. You can go for a thick but flexible blade for maneuverability when hunting, and then trade them out for something stiffer and more powerful for freediving. SEAC is one of the leading brands in diving equipment, and the Shout S900 offers experienced divers a fantastic feeling for long dives. They aren’t recommended for beginners because they just aren’t as soft as other brands; these are stiff blades meant for powerful swimming. Their biggest feature is that they have a 22-degree blade angle, which is the anatomically correct angle for human feet and legs. This means you won’t need as much effort. These are great for swimmers who prefer the feel of softer blades, but want the power that stiff blades can offer. Go up a size if you are a half size and use neoprene socks to make the fit right. 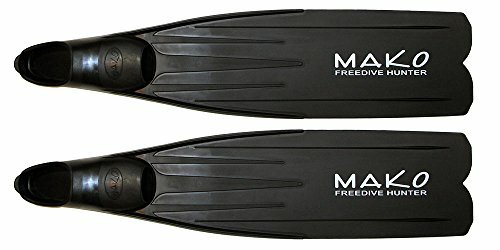 If you are looking for a quality pair of freediving fins suitable for beginners, and that won’t be too expensive, the Mares Instinct Pro fins are a good choice. These have closed-heel foot pockets that come in a few sizes, which you can adjust with fin socks for a better fit. 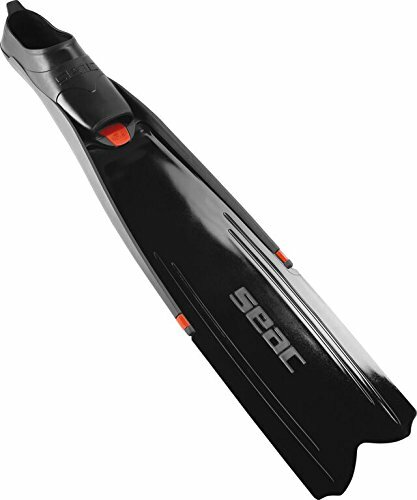 The fins are made with both stiff and soft parts, so that you have a more fluid swimming experience. It means your legs won’t cramp up as fast, so you can dive longer. The Instinct Pros come in green, black, and camo. 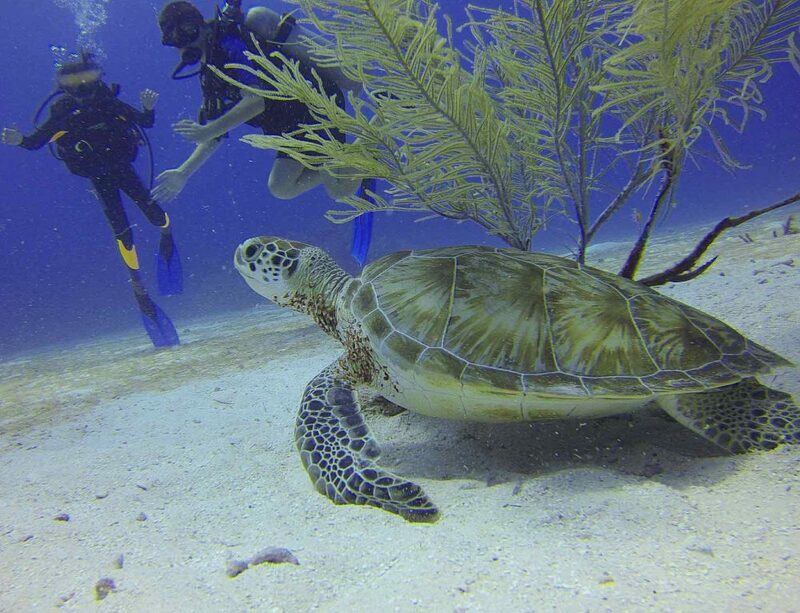 They can be used for reef diving primarily, and the fact that they have some stiffness to them means you won’t outgrow them in a few months when your leg muscles get stronger. One of the biggest decisions you have to make is whether you want an open-heeled or close-heeled fin. 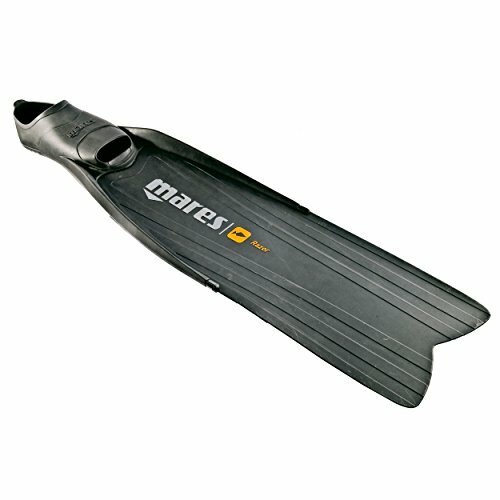 Most freediving fins are closed heeled because the design offers more power due to a better fit. However, if you have trouble finding fins that fit your feet perfectly, you may wish to go with open-heeled so that you have room for adjustments. Fit is absolutely the most important part of choosing the right fins, because it will give you more power, and cut down on blisters and cramping. Trying fins on is essential for ensuring that you’re going to have a great freediving session. Make sure that the fit around the heel, and in the width of the foot, is nearly perfect, before committing to a pair of freediving fins. Some fins are designed so that you do not need neoprene socks, but it’s a good idea to try fins on with them to judge how the fit may change. You can use the reviews here to help you shop for the pair with the highest quality in your sporting goods store. The next thing you’ll want to consider is the material of the fin. These are usually polymer (plastic), carbon fiber, or fiberglass. Carbon fiber is a very stiff blade, which will give you a lot of power, but can also be very expensive. Fiberglass is a good compromise between the most inexpensive material of plastic, and offers most of the features that carbon fiber can. If you want the stiffest blade, look for the stiffness rating of one to four – the higher the rating, the stiffer the blade. 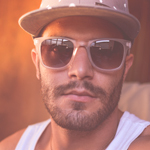 Once you’ve got the best fit you can find, and you’ve chosen the material you prefer, it’s time to get diving!